You might be determined to get a boost of your ROI (or making money) from your small business that runs a wonderful money site. But, is there any bona fide plan to secure traffic engagement using effective Pinterest marketing for a rich conversion rate (CR) on your sales funnel? Yes, Pinterest, which is one of the greatest tools that serves more than 50 billion of pins with 66% growth in pins and monthly more than 79 million of unique US users. Then, what is your plan that could be able to harvest benefits from the amazing growth of traffic? Create a Pinterest business account that contents your loving blog-name or your name (if personal account) with a description of brief bio speech that includes major keywords of the blog like it’s meta description. Insert the blog-url that is verified. Then, connect the account with major social media sites like Facebook and Twitter. Create your interest boards naming the words that represent a blog’s category. 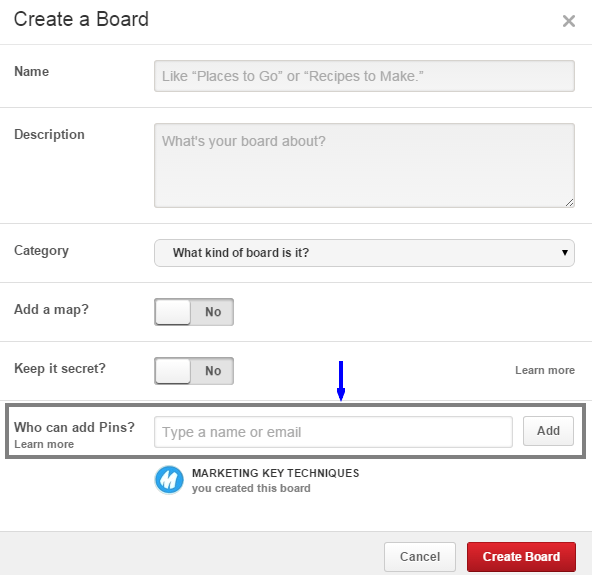 Use the description of the boards that includes major keywords people search using the Pinterest search system. To select the right keywords from a top selective keyword set that created using a keyword research tool like Keywordtool.io. What type of content would you like to pin in the boards should be reasonable as well? You might use most sharing content types such as infographics, videos, animated GIF and slides in the boards on the basis of priority. Also, if you have a clear concept of the interest categories and you could able to pick the right one, then your business will automatically boost well. Find out competitors’ Pinterest profiles and make a list of their content type, keywords they use and the useful missing or using properties. You could find the social volume of shares in Pinterest using Buzzsumo and you might make the decision over them how to overtake the competitor’s journey. Click on the “Create a board” and type a pre-planned name and description that optimizes the board. Choose an appropriate category and let it be created. You obviously require to edit or delete the boards you created according to the performance of each one. Then, click on the “Edit Board” located the right-top corner of the board and let it be done according to your requirement which is a continuous process in the effective Pinterest Marketing. Some of the major boards should be created in special purpose of building a business stigmatization over products and services that are being generated through your blog posting. So, keep up some of the boards for nurturing a unique banding image. You might create a Pinterest board naming “Contact Us” as a special one, since your company deals product or brand that has a particular destination. You could keep up an image or exact contact map that is linked behind your site’s contact form as well. This type of board could be pinned with the infographics that content various questions and answers of the product or brand so that audience could gather the particular idea at a glance to understand the deals quickly and easily. On this board, sometimes, you might call a competition, placing some special questions drawing a deadline so that activities could boost your conversion rate. 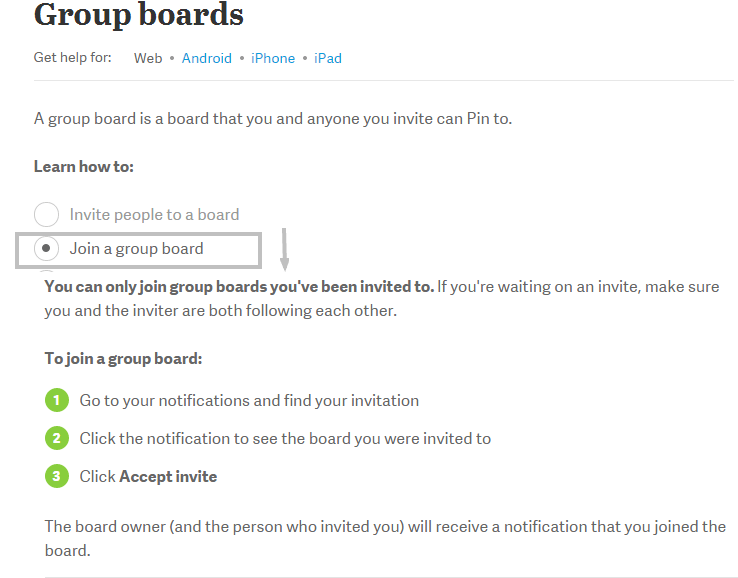 Generate Group boards using the rules given in the Pinterest. This is pretty simple as like as the boards you created for own blog contents. In addition, you just require to fix the condition of “ Who can add pins in the board”. Then, you have to go for inviting the Pinners you expect to engage in your board who are existing in the following list. In this regard, you have to use the slot inputting ‘name or email’ of those followers to send the invitation. You could maintain a Pinterest board by a name of the existing customers in order to show a special valuation so that they get impressed to be the repeated customers. Following the impressive issues and special offers or gifts or thanks to them, the potential customers might be encouraged to be an ultimate customer. You might add a guest board to find traffic for better Pinterest engagement choosing a relevant, attractive and worthy topic that involves your existing customers, prospects and other enthusiast people to accelerate your effective Pinterest Marketing. Accordingly, just create a board and invite potential participators to contribute in the efforts. Since they start involving in the boards, you could follow their boards that as a contributor. Then they’ll be able to pin to your guest board which will be appearing on their own page as well. 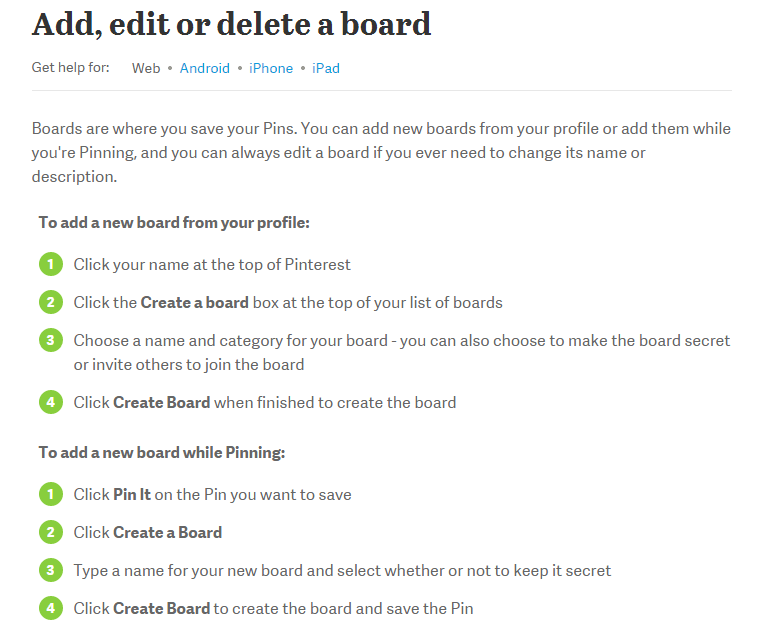 In this strategy, you might create a special board for advertising your own pins by “Repin To Your Amazing Board”. 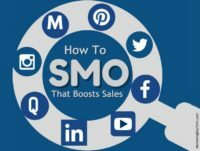 Using this Call-To-Pin method, according to KissMetrics, you could achieve 80% more engagement. In addition, you might add an eye-pleasing cover image that invites accordingly. How to find the popular Pinterest Boards? 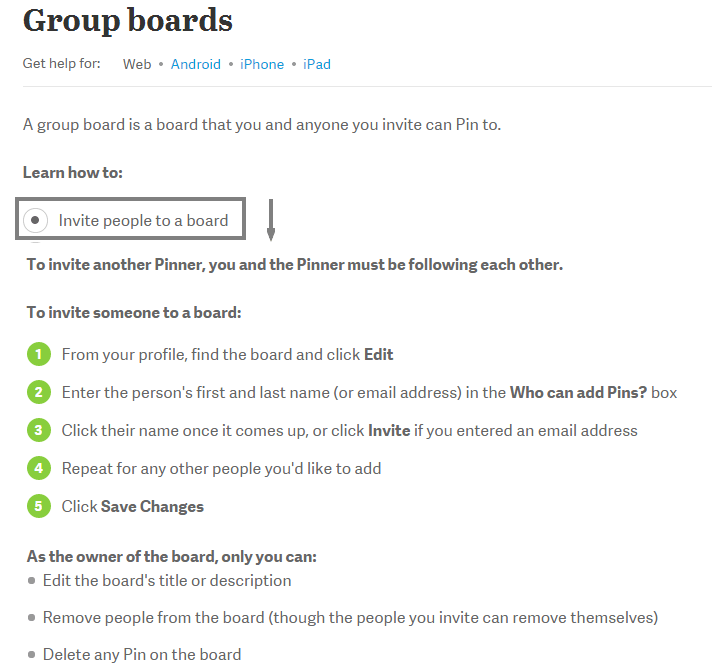 As there’s no system support on the Pinterest to find the targeted groups, you might use the Pingroupie tool to pick out the ones for engaging in others’ group board to adequate usage of this way for effective Pinterest marketing. The money site or blog is the motherland of each pin whether it infographics, slides, image or video. But every pin you adorn in the boards to be pinnable, unique, pretty looking at color, reasoning in compose, interesting as an image. You might use canva to create sizeable content that leverages you enrich your every pin. As repinning is the biggest part of the Pinteresting, you might have not available time always to sort out, curate and re-share the pins. Then, you could use a secret board for this purpose. You might pile up instantly got all of your re-pins on this board temporarily. At your best convenient time, you could able to read, assess and determine the re-pins to transfer to the appropriate boards. Generate descriptions of boards and pins are fascinating, inviting and useful to engage in the contents of every visitor. Although 500 characters are the highest limit of each description, 200 to 300 characters are optimal size and reluctant limit of time payment by average visitors they intend. Target the relevant users of interest, pin them and chase them purposely. Find out the pinners are interested in your products and services using keywords through buzzsumo and pin-up them, including competitors to chase them who are using Pinterest. Generate contents like infographics, slideshows, videos are attractive and useful for the pinners or visitors. Users used to look for contents that are new, different, ideal, exceptional, inspiring, useful and consumable for their timely usages. Just pay the attention to users and see in their eyes for the content generation. Indeed, Pinterest marketing success is located on the blog which is the real-time factory of all products generated for Pinterest marketing according to the interest of users. So, emphasize on the pinnable content generation in each article of blog posts and facilitate pinning system for the blog audiences. The keyword is the prime element for comprehensive campaign management in Pinterest marketing. It essentially deserves the continuous management of keyword searching and inputting the right keywords in the boards, pins, and profile. Every potential customer or audience pursues the most influential pinners in the purpose of finding the interested source, resource, product or audience. How to find them out and involve them in your Pinteresting is required Repinned – a powerful tool that you might use. Never duplicate other’s content in terms of finding real value engagement. You might create and post the infographics, funny images, famous quotes with the author’s image etc, but they should be original and organic so that repining happens virally. Start repining after finishing your boards pining with your own contents that generated from your blog. Repining with the right content from others is a pretty white strategy to bring the Pinterest marketing success in your small business entrepreneurship. “Give and Take” is a simple policy to bring the success in Pinterest marketing. You start following others and see others in your profile are following you back. You could use this strategic tool to find the potential followers who might be eager to follow you as well. Just use your targeted site URL instead of “marketingkeytech” whether it is your own blog or other competitors. The major social media like Facebook, Twitter and Google Plus are the biggest potential parties might provide a huge exposure on your Pinterest by dint of linking over them. So, building connectivity with the social sites might boost your conversion rate due to better engagement and clarification over the deals on the Pinterest funnel. 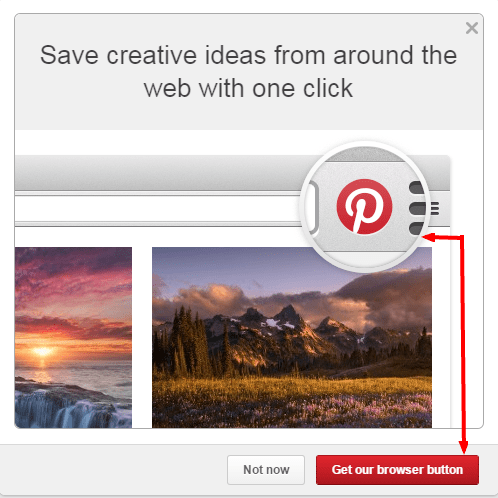 Keep up a ‘pin-it-button’ in your blog posts available for social sharing. It’ll leverage every interested Pinner to pin the suitable content in their preferred boards within two clicks. You might use plugin for blog posts and also insert the browser button from Pinterest “+” located bottom-right corner of the Pinterest profile “save idea faster with the Pinterest button”, and enrich your pinning system faster and accurate. Nurture the popular pins especially to maintain and strive to popularize the pins that deserve. In this regard, you might figure out the rates of sharing volume (using buzzsumo) that increase potentially towards the level of popularity. The pinner’s pins can be pinning considering their top relevancy, quality, usefulness, like volume, sharing size and so on. The 3rd Party pins might add values but their total volume of pins should be within comprehensive level subject to your own stuff, so that they do not expose spammy to the visitors or compel visitors to be diverted to competitors’ pins only. You might be acquiring the pins from your customers or guests on the guest boards in purpose to find the exposure more. Well. But this type of approach requires a strong follow up whether really it works well or not. Then, it frequently needs to control the pins so that the efforts reward results. You might have taken part in the others’ group or in the group you created in your own Pinterest. These types of group conduct are enough fruitful for the Pinterest Marketing success. But you should be careful regarding content relevancy and the power of focusing the content managing pins regularly and appropriately. There are several search systems in the Pinterest you might use them to invite and engage your friends, family, customers or other contacts using name, message or email. In this way, you could be able to involve a significant number of followers, pinners, and Likers in the interest that leverage your journey to start campaigning. Mutual partnership in the board-pinning with the most influential pinners might be a great idea to create a pretty buzz in the effective marketing. But it is difficult to get the permission of their interest until they do not find further benefits from your site. Then, it should be a continuous striving to involve them since they get into your following frame. So, let them find you in their following first and grow up your interesting at their desired level. It’s now a common way to grow branding and effective marketing through inviting a pinning contest over content quality quantity, relevancy, and strategy. Who’ll gather more likes, shares, and tweets, you might reward them in two ways – monetary reward or/and offering the marketing exchange that promoting the boards of the winner for a limited time. You might be thinking that how you could bring the Pinterest content movement, how to find who is pinning your visual stuff and how to promote. 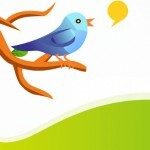 Then, ViralWoot is rather a pretty simple but free way to obtain the followers, likes and repins. You could easily schedule your posts to promote visual contents and able to reach out them to the users. Furthermore, if you might able to pay a bit for a much greater result in pinteresting, you could use ViralTag as well. How you could make the boards interesting and engaging that depends upon your sharp following up on the successful boards around the Pinterest and innovative implementation. So, generate inspiring content, use the useful contents from others and then make sure that the boards are fascinating with your right selection of content management. Are you online shop marketer? You could decorate your products as your own Pinterest shop. You might take the advantages adding the price on the product you pinned using major currency symbol and the short description. You could define the board by Pinterest Discount, Coupon or Gift so that pinners or shoppers get the fascination. You should be about real-time in responding others comment on your pins and needs care to manage the comments whether its impact positively other visitors. In reply, you might ask them further feedback on the pin basing upon existing comment that show you are curious to care him or her. You have to visit your neighbor’s boards on purpose to build a relationship of mutual cooperation to promote the contents. In that strategic case, you could comment other’s pins and take part in the reply other’s comment as well. That means, your aim is being rolled out exposing you as a socially helpful personality through your relevance. It will inspire others to visit your stuff and appreciate you back. Direct affiliate links are an unexpected and silly presence to the visitors because Pinterest is not your complete zone to find direct exposure to get a sale. They, indeed, seek a label playing atmosphere first through your funny, amusing, inspiring or interesting contents. So, let the affiliate links stay passive, putting behind in your active zone. Since your niche industry is being represented by a lifestyle that creates persuasion to your product, and then never shares the direct product to the audience. Just keep sharing your own lifestyle that reflects your product image. An effective marketing management refers the relevancy among your names of profile, boards and pins so that your campaign comprehends through a right path. In this regard, take an extra-eye on the profile-overview that gets inserting the boards or group boards are going in order with your purpose. Your visual contents get publishing on a pick time that usually represents a dense of traffic on the Pinteresting. In general, the best hot period of pinning daytime 2PM – 4PM and evening time 8PM – 1AM are estimated by SocialFresh. Though, it varies on the type and habit of the visitors and a product’s characteristics, you might be test out the pinnings following estimated time that typically win-win for better Pinterest engagement . According to a research finding by HubSpot, the hottest time is Saturday morning that you might follow. Indeed, the product is your ultimate goal to place on the audience’s mind for their real engagement on calling for action. Under a comprehensive field of the audience engaged, by the by, you might move your conversation towards finding a feedback on your final product. The initial success of audience engagement is located in the rich images or infographics. During content generation for your blog, you could care to consider the Pinteresting images. Then, create images targeting your content goal that goes viral. It’s a strategic way to re-share the viral pins that, make sure of your action goes in real time for the customer care and information exchange among pinners. It is rather an effort of creating a pinning buzz over the Pinterest Marketing so that audience being impressed. Because, viral pins are not only credited by the creator – pinners as well. So, it is fantastic job to share them and find sharing the credit also. Audience look for the stuffs in the Pinterest board is usefully pleasing. Every board naming with different categorical keywords could enhance diversification is not enough, requires different types of pinning under a strong relevancy of the visual picks. As 80% of the contents are repins in Pinterest, search the diversified pin worthy contents around the followers or influences. Analyze your daily traffic stat in both of the sites – Pinterest and website, and find out the repins, followers, likes, comments and referral traffic. Which of the time interval of the day and the days of the week is performing better returns should be kept in special notes for emphasizing on the fertile issues in promotion. To grow an effective marketing movement of the overall pins, sometimes old pins are might be amazing to get engage of new audiences through an optimal repining campaign. In this way, you could refresh each of the descriptions that works more optimized and diversified to the re-pinners. 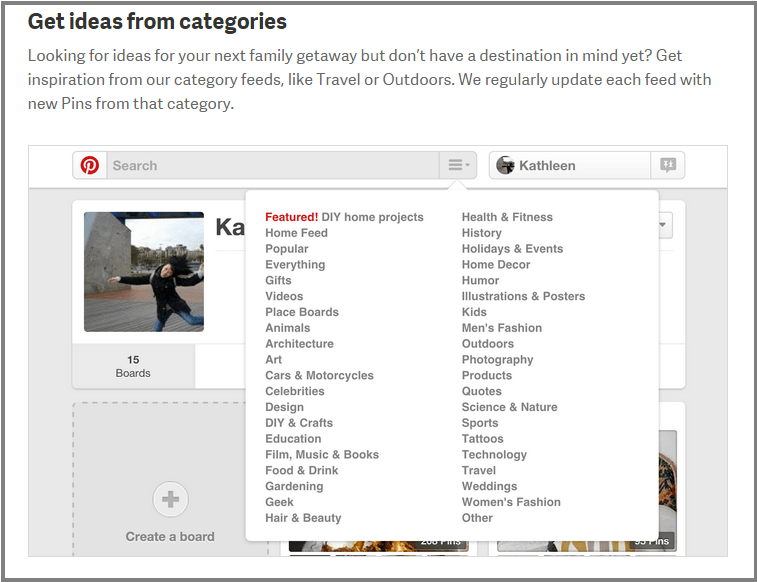 This is a wonderful way of the Pinterest tools you might use for direct sharing of the pins or groups . It’s the way to get more clicks through from the usage of call to action in the stuffs you an exchange. Since, you have some matured boards with useful pins and having relations commenting in the individual pins, you could call to the pinners sending message with pins. Your target audience will be defined by your selected keywords according to your business and pins. Research, pick out the appropriate keywords and use an optimal number of keywords in the Pin title, Pin description and image file names of the pin as well. The optimal size of an image and appropriate design are core factors in effective Pinterest marketing. Canva is an outstanding image creator that supports the right size of a pin by 735X1102 pixels and flexible design opportunity. If your WordPress blog is being used by Yoast SEO plugin, you might have the great chance to optimize the Pinterest Marketing with setting up your blog with article rich pins. 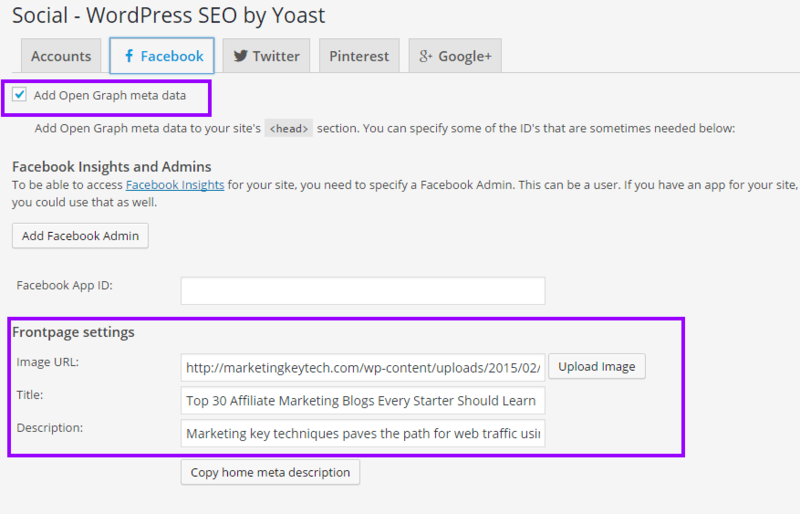 To facilitate article rich pins, log into your dashboard, click on “Social” to find the tab Facebook on Yoast WordPress SEO. Then, make sure that the checkbox of “ Add Open Graph Meta Data” is ticked. Then, in the ‘Frontpage settings’, click on the “Upload Image” to insert an image URL from your WordPress Image Gallery that is related to an article on the blog. Then, write the exact title of the article related to the inserted image and meta description in the rest of the slots. And get saved the change. Plugin setup is up to this all. 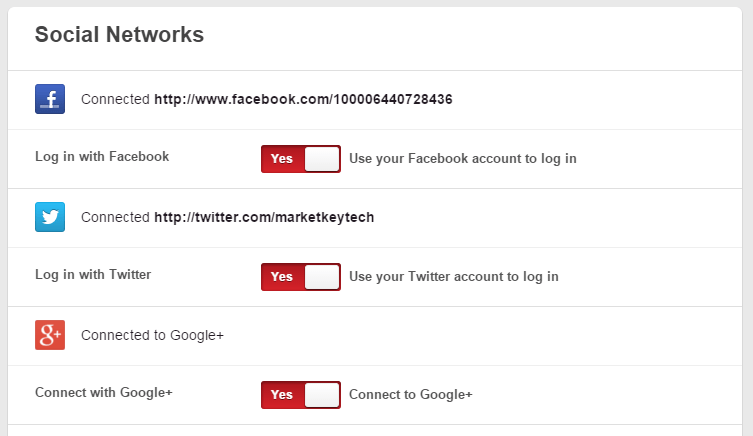 Now validate the same URL link using Pinterest Validator . You might find instant validation. Then, an application button will appear to apply finally which will be approved within short time. Eventually, you and your visitors will be able to find the rich pins from your article really amazing and enriched with author name, meta description and bold heading. 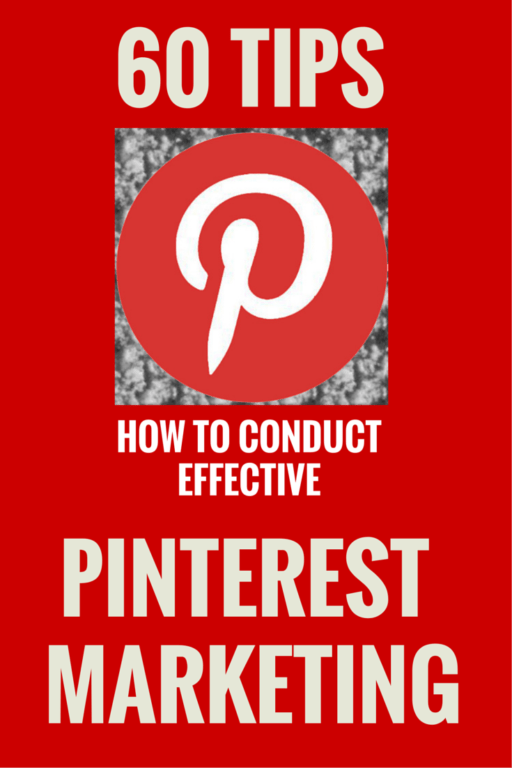 In this way, you could able to run your effective Pinterest marketing more effectively. In your product or service branding, specialization is required within the diversified boards whereas target brings the success upon the right focusing. Generate one or more special board for the rich pins and keep up the boards on the front space of the profile set. Then, it will draw different attention to the issues. In this management, make sure that every pin is linked to your sales funnel or money site so that each response from the audience doesn’t go in vain. Pack your latest two pins in the newsletter for regular spreading out – is an amazing way of effective marketing. In this way, you could able to reach direct subscribers to involve your Pinterest profile for better Pinterest engagement. There is an excellent widget display support for the WordPress Site bloggers, pin marketing promotion might be getting an extra face using this side bar’s Pinterest RSS Widget plugin. It can help you to get your audience happy with the latest displayed pins by corresponding thumbnails that are focused from your unique user profile through the Pinterest RSS Feed. Alternatively, you also can make and add a widget using the creator “Make a Widget” located top-right corner of the profile and above of the log out function. Properly hashtagging leverages branding your product, getting search visibility and helps to the easy marketing campaign in Twitter via Pinterest. In the pin description, use not more than two hashtags. Each of the tags for more than one word should be compacted keeping up 1st letter capital (Example: ‘Hash Tag’ should be #HashTag ). A bigger share of the traffic on Pinterest is coming via mobile app that leverages pinners to repin the pins easily. Make sure your site is Pinterest-friendly and it supports the app users for finding the significant environment to get encouraged in repining. As the largest volume of the pins are being repined, generating each Pinterest board is perfect in design with the significant pins is a continuous effort. Get researching on the improving issues of boards and pins comparing with the popular boards with others, and create an addicting and winning fascination over all. During your every campaign of Pinterest marketing, it is intelligent to interact appreciation, fun, emotion and inspiration to the pinners, co-pinners, visitors, customers, competitors and targeted audiences. Following this code-of-conduct, you could draw valuable audiences, once soon you could be able to play a label win-win Pinterest marketing which will leverage you harvest rich results. To grow your Pinterest Marketing effectively, you want to follow up the results of your activities on analytics in terms of figuring out the issues of marketing and improving. In this regard, you want to have a ‘Business Account’ that will enable you to find the profile data, your website insights, platform metrics and your best pins. Then, you could find the clearer ways how much development you need in generating pins and boards, what is the behavior of pinners they conduct over ‘pin-it-button’, how people respond using various devices and which pins are the best performing, soon. You might get a tour to learn details and hear out the points from Pinterest Analytics help center. These indicators could provide you clear data that guide you how to make your every ‘next efforts’ best for boosting results. If you could able to empower your business account conducting the epic and effective Pinterest marketing that follows these 60 strategically serious jobs habitually, you’ll surely be able to get the rewards of the highest quality of sufficient traffic, major conversions, and amazing sales. Make it happen. Do you’ve any question or remark in this regard? You might share. If you find the post useful, I’ll highly appreciate your valued like, share or comment using Facebook options given below.